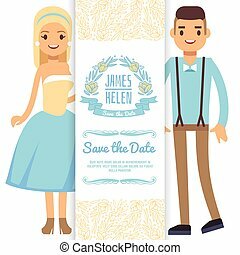 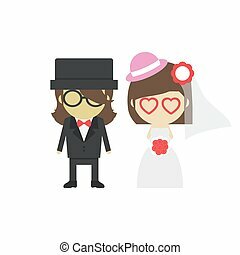 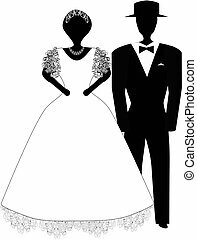 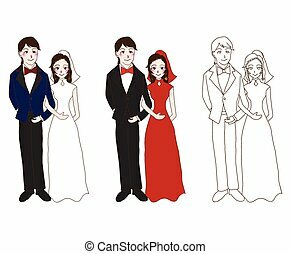 Bride and groom characters isolated on blue background, vector illustration for wedding invitations, postcards etc. 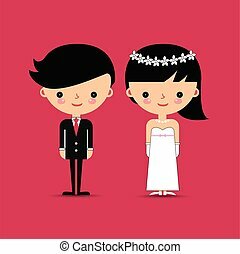 Bride and groom. 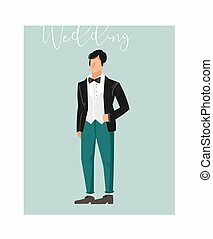 Vector flat people characters in paper art style. 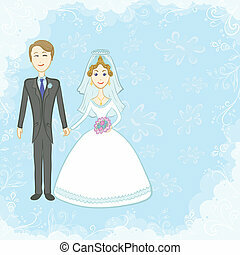 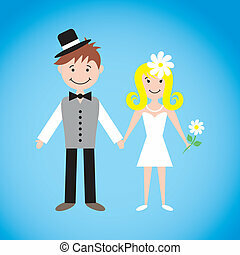 Cartoon couple newlyweds on blue background. 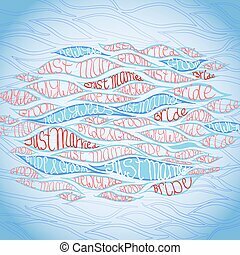 Origami design. 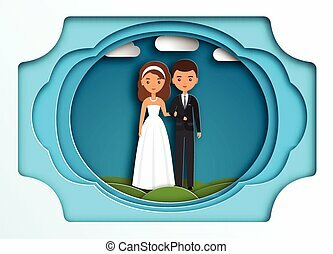 Icons male, female. 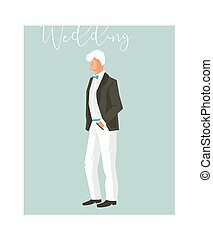 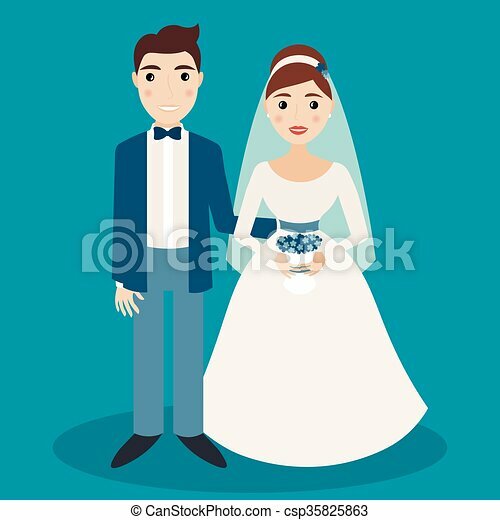 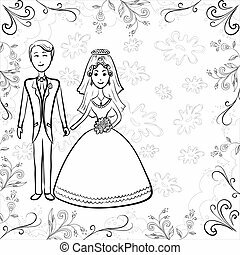 Hand drawn vector abstract cartoon wedding groom illustration element isolated on blue background.